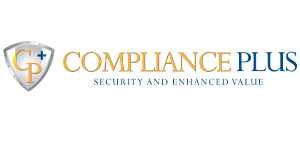 Compliance Plus Services, LLC (“Compliance Plus”) assists domestic and foreign financial institutions meet ever-changing and complex compliance regulations. By drawing on staff and consultants with vast legal and regulatory experience, as well as offering technological solutions that complement existing automated systems, Compliance Plus offers a risk-based approach to address any compliance challenge. In addition to banks, credit unions, broker dealers and bill payment companies, clients include large and small money services businesses (MSBs) such as money transmitters, currency exchangers, check cashers and stored value providers. Compliance Plus’ services provide not only added value to the businesses we service, but are streamlined to be accessible to any company, regardless of size. Our expertise in the area of risk analysis and anti-money laundering is only matched by our years of experience dealing with related regulations such as the Bank Secrecy Act (BSA), the U.S.A. PATRIOT Act, the Foreign Corrupt Practices Act (FCPA) and Sarbanes-Oxley (SOX). Compliance Plus covers the full range of compliance services required by financial institutions, including development of internal controls, independent reviews of compliance programs, training on BSA/AML matters and risk analysis of products and services. We also provide assistance in procuring relevant banking services in the United States. Our high quality and reliable service is confirmed by the over 100 companies that have turned to Compliance Plus for guidance on compliance matters. Our clients are located throughout the globe including the United States, Latin America, Europe and Asia. Oscar Herasme is the Managing Member of Compliance Plus. A former prosecutor with the New York County District Attorney’s Office in Manhattan, Oscar also maintains an active law practice at Herbert Law Group where he counsels companies in the financial services industry on state and federal laws, compliance, and enforcement matters, including anti-money laundering (AML), risk control, permissible investments, licensing and other regulatory issues. From 2002 to 2003 he served as legal counsel to the New York State Assembly Sub-Committee on Banking for Immigrants. Oscar received a B.A. in Economics from Pace University and a J.D. from the University of Wisconsin. He is also a certified professional of the Association of Certified Anti-Money Laundering Specialists (ACAMS™).